Vallie Geier and Marian Leibold, both from the Hyde Park area, Co-Chaired this three-day experience, “Rivertopia.” The whimsical name suggests the significance of the Ohio River. The meeting featured important connections between town and country, which makes Cincinnati livable and beautiful. Guests came from near and far to experience the current transformation of the city. The steering committee, many from the Hyde Park area, was composed of Fleming Ackermann, Eileen Barrett, Helen Heekin, Tina Kohnen, Cindy McCarthy, Debbie Oliver, Sara Osborn and Heather Vecellio along with committee chairs Robin Armstrong, Rhoda Brooks, Sara Geier, Lanie Grever, Jutta Lafley, Mimi Petrie, Josie Thayer and Ashley Ward, implemented the plans for the meeting from start to finish. Dinner hostesses Sharon Frisbie, Sydney Anning, Blair Fleishmann, Debbie Oliver and Ginger Warner offered a lovely evening in each of their river view or country homes. Guests were educated and inspired by knowledgeable and passionate speakers. Dr. Len Sauers (Hyde Park), the business meeting featured speaker, addressed “Global Warming and Water Scarcity.” At Peoples’ Liberty, Tim Maloney of the Carol Ann and Ralph Haile Jr. Foundation / US Bank, brought to light the innovative initiatives he is leading throughout the city. Thane Maynard, Executive Director of The Cincinnati Zoo and Botanical Garden spoke about “The Nature of Hope: Saving Species from the Brink of Extinction.” Dianne Rosenberg (Hyde Park), chief commissioner of the Cincinnati Park Board, welcomed guests at the carousel in Smale Riverfront Park. Docent-led tours by volunteers Ann Kranbuhl, Lib Ott, Kate Baumann, Pat Hinkley, Peggy Shaffer, and Jane Terrill were a high point of the guests’ experience. Speaker introductions were given by Helen Heekin (Hyde Park), Vallie Geier, Marian Leibold, Sally Leyman and Sarah Zamary. The importance of the country in the life and well-being of all Cincinnatians was highlighted by a visit to Greenacres Arts Center with Executive Director Dr. Carter Randolph and to Turner Farm with Executive Director Robert Edmiston. Cincinnati’s town and country treasures including Greenacres, Turner Farm, The Taft Museum, murals by ArtWorks, The Cincinnati Zoo and Botanical Garden, Peoples’ Liberty, Findlay Market, Eden Park, Smale Riverfront Park and the Anderson Pavilion all were featured. 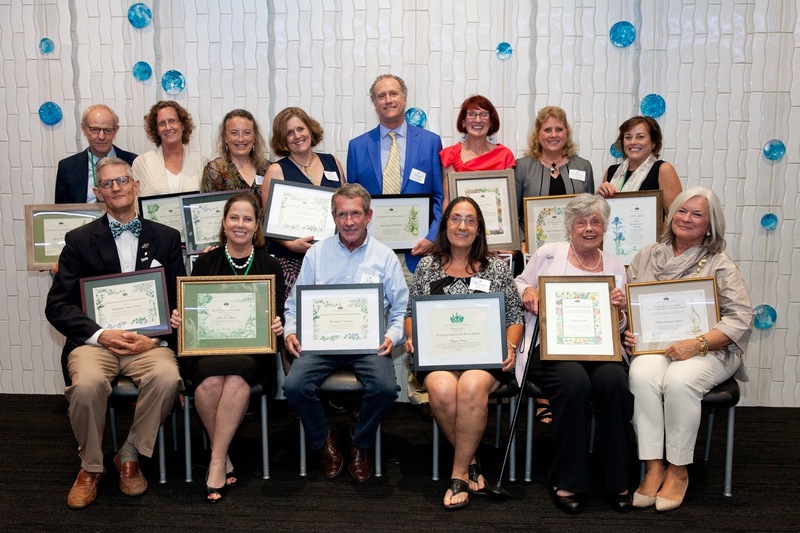 The meeting concluded with an Awards Dinner at Anderson Pavilion, during which individuals and organizations were recognized by Garden Club of America for their contributions. 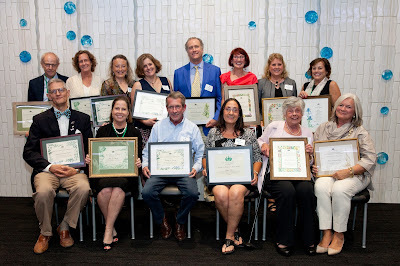 Local award recipients were Bryna Bass (Education Coordinator of the Rothenberg School Rooftop Garden) with the Elizabeth Abernathy Hull Award, The Fernald Preserve with the Zone Conservation Commendation Award (accepted by Community Relations Lead, Penny Borgman), Suzy DeYoung (Director of LaSoupe) with the Zone Conservation Commendation, The Cincinnati Nature Center with the Zone Civic Improvement Award (accepted by Executive Director William H. Hopple III), Nancy Linz (Garden Club of Cincinnati) with the Zone Horticulture Award, Timothy J. Maloney (Chief Executive Officer of the Carol Ann and Ralph V. Haile, Jr. / US Bank Foundation) with the Zone Civic Improvement Commendation, the Greenacres Foundation with the Zone Horticulture Commendation (accepted by Greenacres Foundation Trustee, Brad Lindner) and Debbie Oliver with the Barbara Spaulding Cramer Zone Floral Design Education Award. Participation in a horticultural challenge included a display of small trees in the lobby of the Residence Inn propagated by members of the Zone X garden clubs. The most prolific species was Quercus macrocarpa (bur oak). All were grown from seed without pesticides. The last day, aesthetic and unique private gardens were open for touring. At the conclusion of the meeting, guests were inspired, energized, and educated by the growing, greening and giving taking place in our Queen City every day!